I came to Florida for an adventure. And I got one. But it was not all that I hoped. So I'm flying back to Finland today. 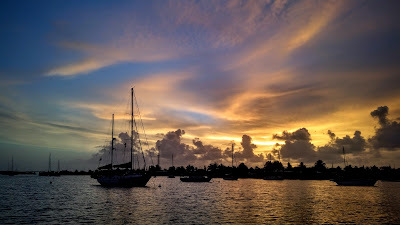 I spent over 7 weeks here, but cos the troubles with the 27ft sailboat we couldn't sail more than 3 weeks and only got to Keys on our mission to get her to Panama. Last 3 weeks I just hung around on a marina in Marathon FL and thought that there's still time to do stuff with my own boat back in Finland. I used my time waiting here to research improvements and new add-on's for my boat and got really excited again to continue my original plans. So we started sailing from Clearwaters Tampa. The purpose of the trip is to transfer the little Columbia 27ft sailing boat to Panama. We left about 2 weeks ago and been making a slow progress fixing some problems on our way. There was no schedule or hurry so we've enjoyed the ride and take it easy. 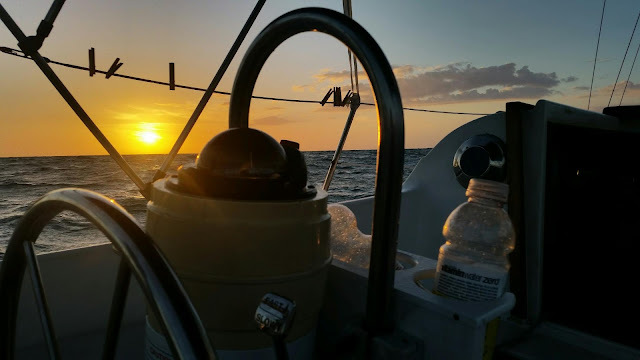 But once we got to Key West our engine wasn't responding anymore to our attempts to recover it.. Now we are trying to get the boat to marina in Marathon to get the engine fixed. Remember to check out more updates and short videos from my Google+ feed!